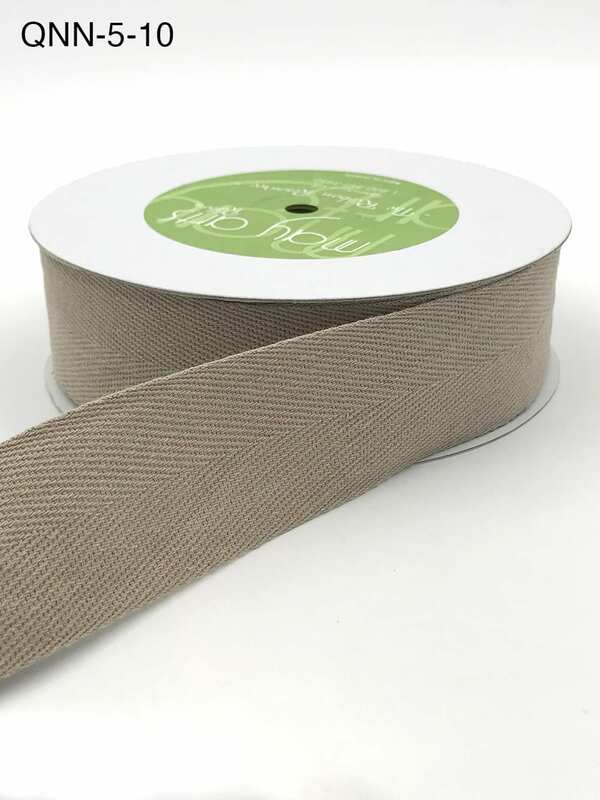 This 1.5 inch by 25 yard ribbon is a 100% cotton twill. It would be perfect for gift wrap, card making, sewing, scrapbooking, hair bows and home decor. This environmentally-friendly fiber is breathable and soft, making it great for accessories, clothing, and jewelry making. It’s rustic appearance is great for primitive and vintage themes. 1.5″ widths are commonly used in gift wrap, but can have many versatile uses from bouquets to mixed media and more. The QNN series has rich, deep colors for Fall, Christmas and more. Mix the natural colors with navy for patriotic craft projects, or mix with light pinks and lace for dainty romantic motifs. This ribbon is the 100% cotton version of our QN Series.